Pumphrey Law Blog Does Leon County Need More Gun Control? In the wake of two children being killed and 19 others being wounded by gunshots early Monday morning at Club Blue nightclub in Ft. Myers, Florida, gun-control activists are seeking stricter gun laws to be put in place to prevent tragedies like this from reoccurring. Advocates of stricter gun control laws believe that cities are not safe because there are too many guns being produced and sold. Gun control advocates also assume that legislation making it harder to purchase a firearm would instantly stop gun violence, thus, making America safer. However, over restricting a United States citizen’s 2nd Amendment right to bear arms would be unconstitutional and factual data does not establish fewer guns equates to less violence. In fact, according to a CDC study, suicides account for roughly 64% of all gun-related deaths. In the Sunshine State, it is not illegal to possess a firearm. However, Florida Statute § 790.01 makes it illegal for a person to carry a firearm in public without a valid Concealed Weapons Permit. Unlawfully carrying a concealed weapon in public without a valid Concealed Weapons Permit is considered a criminal offense and can result in the person’s arrest. If you have been charged with an unlicensed carrying of a concealed firearm, discharging a firearm, felon in possession of a firearm, using a firearm while under the influence, or any other weapons offense, contact an experienced Leon County gun attorney at the Law Offices of Don Pumphrey, Jr. today at (850) 681-7777 for a free case evaluation regarding. Pumphrey Law represents clients throughout Tallahassee and the surrounding areas, including Leon, Bay, Jefferson, Wakulla, Gulf, Jackson, and other cities near and within Leon County, Florida. A person who is charged with the criminal act of carrying a Concealed Firearm without a valid Concealed Weapons Permit could potentially be convicted of a third-degree felony which carries a maximum penalty of 5 years in jail and a $5,000 fine. If you have been charged with an unlicensed carrying of a concealed firearm, discharging a firearm, felon in possession of a firearm, using a firearm while under the influence, or any other weapons offense, contact an experienced Leon County gun attorney at Pumphrey Law at (850) 681-7777 for a free case evaluation. 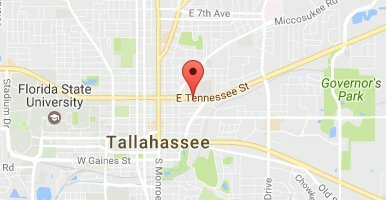 Our attorneys represent clients throughout Tallahassee and the surrounding areas, including Gadsden County, Wakulla County, Liberty County and Jefferson County.